Jacob Kriss was born in New York City, where he spent the majority of his childhood. Now a junior at The Masters School, Jacob is a passionate writer who also enjoys eating food. Through english and journalism classes, Jacob has successfully worked to improve his writing during his high school career. He has also pursued his natural love for food not only through his own research, but by daring to try new things and incorporate as much as he can possibly enjoy into his ever-expanding diet. As a result of his work on Tower and many other wonderful experiences, Jacob hopes to pursue journalism as well as culinary arts studies in college. 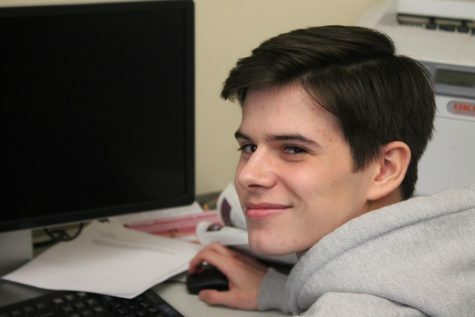 After two years of journalism, Jacob also plans to continue writing independently in an effort to strengthen his abilities as a journalist; continuing to better understand the world while helping others do the same.